Hannes Schneider was born on 24.06.1890 in Stuben am Arlberg and died on 24.04.1955 in North Conway, United States. 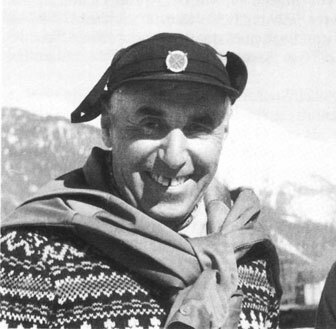 Since 1907 he worked as ski instructor in St. Anton am Arlberg and founded his own ski school “Albergschule” in 1922. With this school as well as the instructional films of Arnold Fanck, Schneider propagated the stem-turn and a new style of skiing adapted to the alpine terrain. Thereby, he made the Alberg region an international centre of skiing. He also took part in ski movies and after his migration to the USA (1983) he founded the ski centre North Conway in New Hampshire. Was Wilhelm Tell a Walser?